Dean greeting new homeowners John & Traci while doorbelling. Thank you! 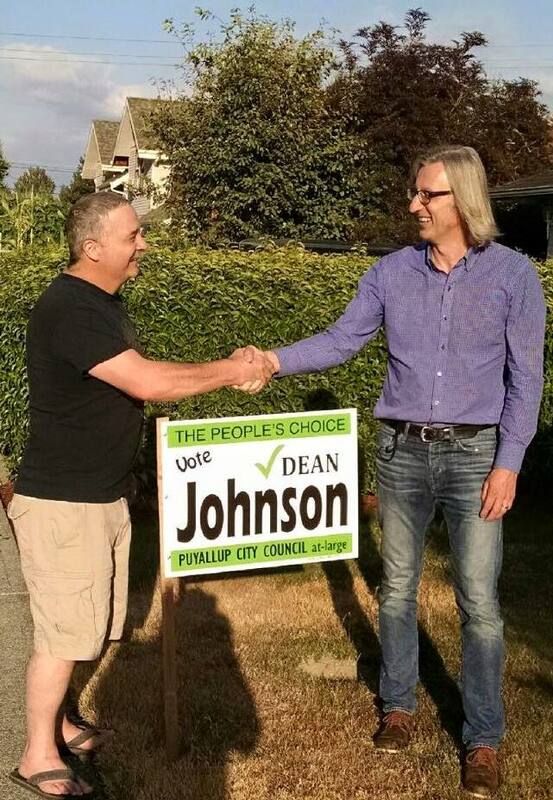 I am grateful for the growing list of personal and professional endorsements which demonstrate my strong non-partisan approach to the Puyallup City Council. Please click on links to read endorsement quotes. * Please note that the endorsements with asterisks are given independently and hence are not meant to imply endorsement from the Washington State Republican Party or 25th LD Republicans as organizations.